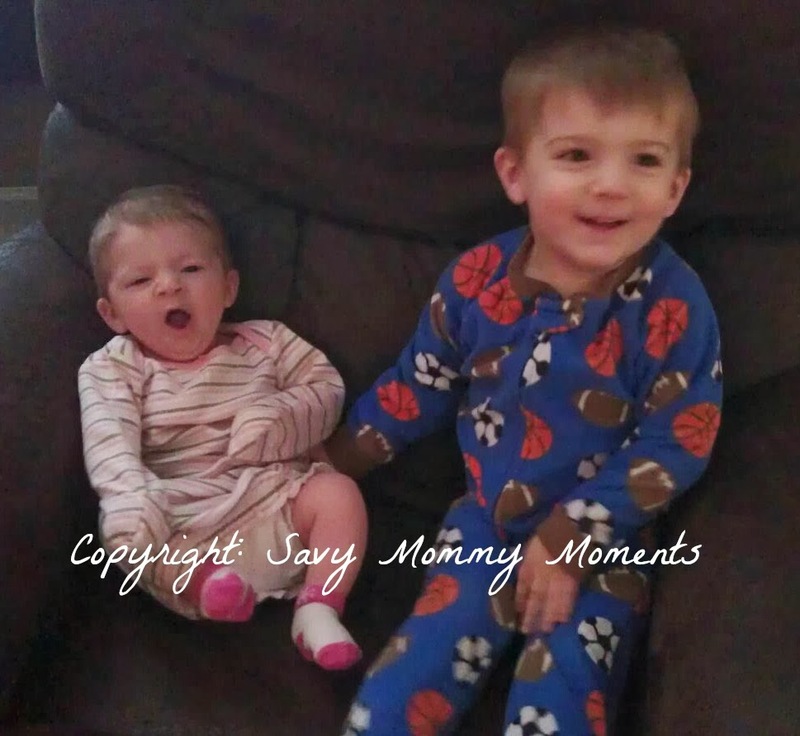 We welcomed our third child on November 1st, 2013, a beautiful little girl, Baby L. and with each child we have welcomed into the family, we have handled things a little different. This post is about clothing. Baby clothing to be exact. With our first child, Big N. (boy) we received all of these cute outfits for his first few 3 months of life. Along with the normal baby onesies & sleepers, we received sweaters, jeans, cotton pants, button up shirts, long sleeve tees, etc. Cute little outfits to make our baby boy look like a little man. But, what was it he wore for the first 3 months? Single piece footie outfits (most of them with a zipper). That's it! 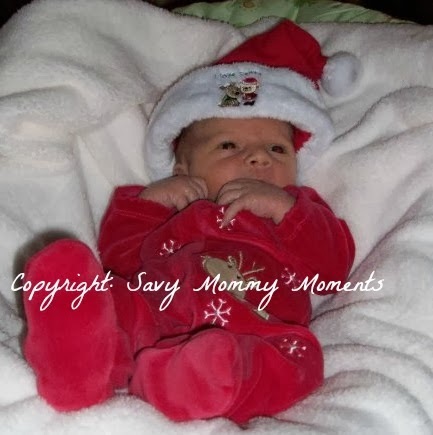 I mean, he was born just 3 weeks before Christmas and you know what his first Christmas outfit was? Yes, you guessed it! A one piece footie pajama outfit that said My First Christmas! 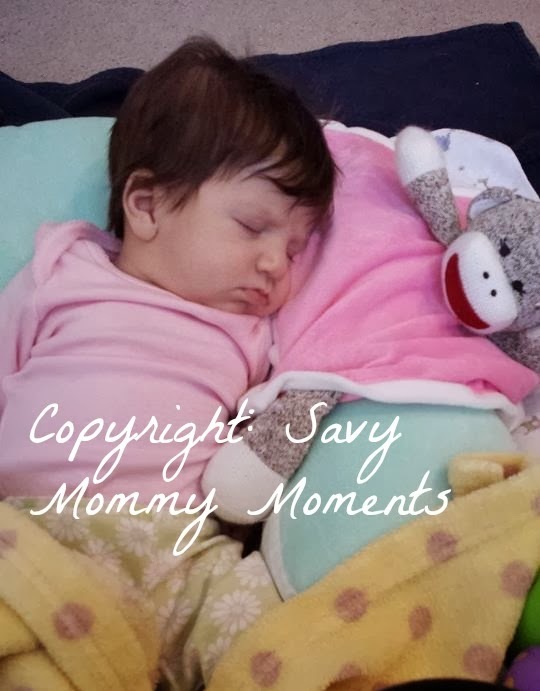 (Mommy Fail) Am I saying this is a bad thing? No, but I was absolutely overwhelmed with a baby who hardly slept due to severe reflux and spit up buckets, so I was not spending all my extra time putting him in cute outfits to have to change him 12 times a day! His first real outfit? I'm pretty sure it was for pictures at 5 months old! Big N.'s 1st Christmas "Outfit"
Two years after Big N. arrived, baby #2, Little A. (girl) came along and we received even cuter outfits! Skirts, frilly pants, corduroys, ruffled shirts, dresses, cute little girly socks, etc. You know all those clothes that take over the entire children's/baby clothing section of your favorite store? Well, they were taking over her closet! Admittedly, I did a little better with dressing her. She wore some of them, although usually only for special occasions (i.e Christmas) or pictures, but she wore them! As for the things we loved the most with her? Those little baby robes that you just slip over them and you can easily change their diapers practically without opening your eyes. Thank goodness I didn't find these when Big N. was a baby or he would have worn them 24/7! Little A. in one of her notorious robes. At least I have socks on her! Here we are, 4 years later and another baby girl has arrived, Baby L. I am happy to announce that all those little outfits are getting good use! I finally see that it's actually enjoyable to dress her up in little jeans, dresses and ruffly shirts. Now, does she still spend a few days a week in those one piece outfits I love so much? Of course! But, some of those are quite cute too! And our nights are still spent in those ever so useful robes, because, well, with baby 3, I think I actually have this blind diaper change routine down and need the extra 2 minutes of sleep that buttons/zippers require! Baby L. in an actual outfit! See, I told you! Do I prefer dressing her in full outfits every day? No! But, I do think she looks pretty darn cute dressed as a little adult! Besides, she doesn't know what she is wearing and as long as she is warm and comfortable that's all that matters. As for baby style, that's just adults playing dress-up with real babies. What do you dress your babies in? Do you have a favorite type of clothing? Tell me how you feel about baby socks!